Posted on May 2, 2018 May 2, 2018 by James K. Dittmar, Ph.D. In this short video clip, best-selling author and friend, Ken Blanchard, shares why we have to take an introspective look at our ego in order to become effective Servant Leaders. 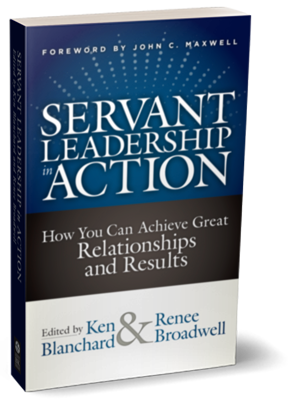 And if you have not yet done so, please check out the just-released book, Servant Leadership In Action, edited by Ken Blanchard and Renee Broadwell. I was privileged to contribute a chapter to this new best-seller.